This sticker sheet is a must-have for fans of movies and cinema. 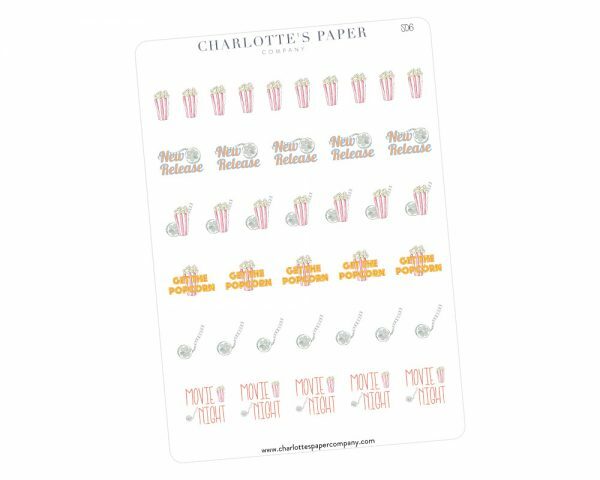 Slap a popcorn or movie reel sticker on the page to confirm your family movie time or mark a special date with a “Movie Night” sticker. Countdown to the movie you’ve been waiting for with the “New Release” sticker. Each one of the 39-count set is a hand-sketched watercolor graphic made just for you.